Dearest Friends With the warmest of thoughts and wishes for the blessings of Peace and Joy- in your heart, in your home!. We wish the merriest of Christmas to you and your loved ones, and we wish you happiness and good business in the year ahead. 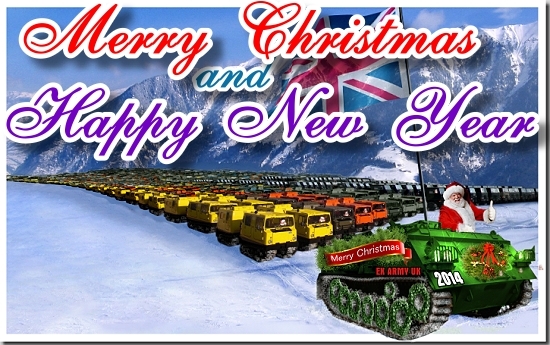 We finish job on 23rd and come back on 6th January Kind Regards EX ARMY UK / LJACKSON AND CO LTD.